Clarksville, TN – On Sunday, May 25th, the Vietnam Veterans of America Chapter 396 held their annual Candlelight Vigil to remember the men and women who were left behind in Vietnam when American forces withdrew in 1975. It is a solemn occasion when a nation gathers together to honor its soldiers, those who lived to come home, but even more importantly those who did not. 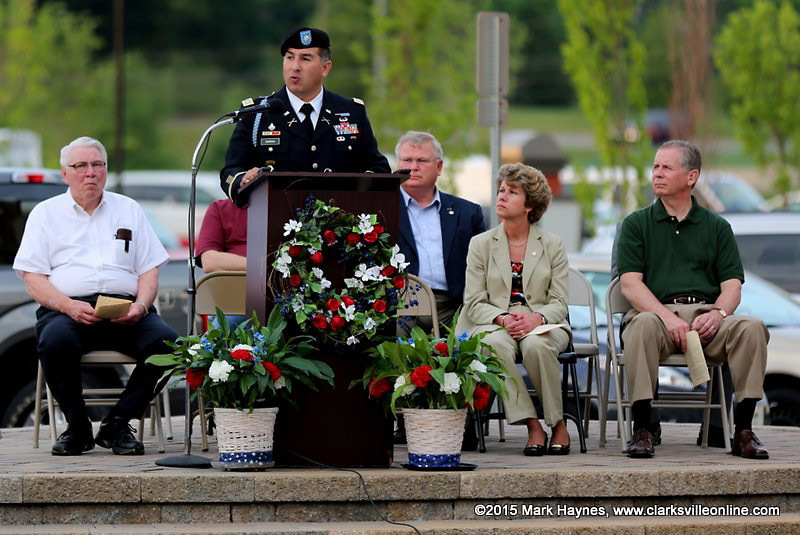 LTC (Retired) Jose Garcia delivering the keynote address at the 2015 Vietnam Veterans of America Candle Light Vigil. 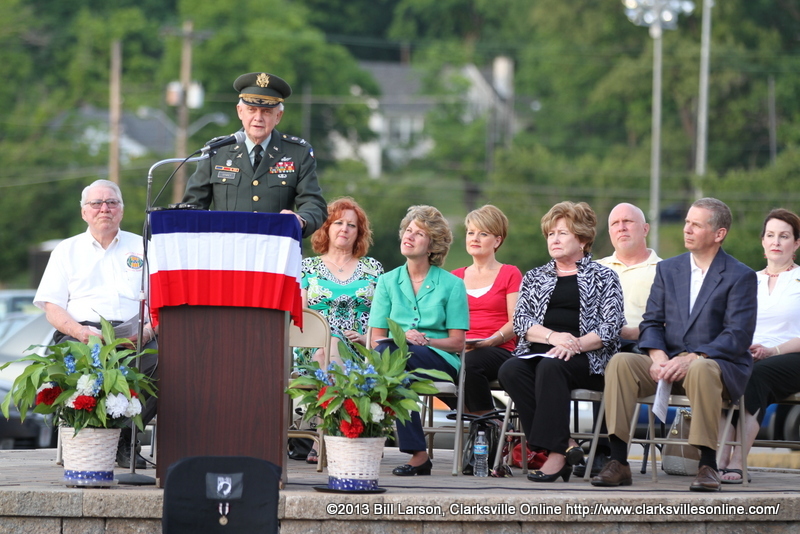 Clarksville, TN – It is a solemn occasion when a nation gathers together to honor its soldiers, those who lived to come home, but even more importantly those who did not. The body of U.S. Army Staff Sergeant Lawrence Woods was buried in Arlington National Cemetery on March 21st of this year. There are 27 remaining missing POW/MIA’s from the State of Tennessee. Each one was honored in a ceremony held in front of the William O. Beach Civic Center at Veterans Plaza in Clarksville Tennessee on Sunday evening. The Vietnam Veterans of America, Chapter 396 holds this Memorial Day Vigil each year to remember the men and women who were left behind in Vietnam when American forces left that country in 1975. 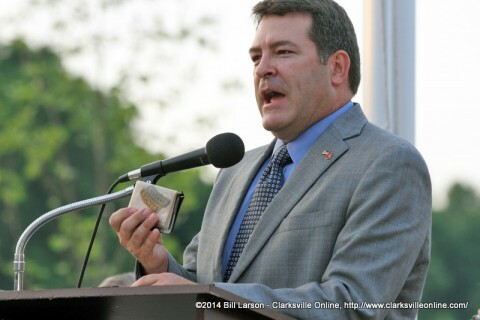 Clarksville, TN – It is a solemn occasion when a nation gathers together to honor its soldiers, those who lived to come home, but even more importantly those who did not. No remains were returned during the previous year, that leaves 30 remaining missing POW/MIA’s from the State of Tennessee. Each one was honored in a ceremony held in front of the William O. Beach Civic Center at Veterans Plaza in Clarksville Tennessee on Sunday evening.